Could joint green-energy development help improve relations between the United States and Mexico? Speakers at this spring’s launch of “Environment, Development and Growth: U.S.-Mexico Cooperation in Renewable Energies,” a report released by the Woodrow Wilson Center’s Mexico Institute, agreed that cooperating on renewable energy is a positive step. However, the panelists asserted that cooperation could be maximized by better harnessing Mexico’s renewable resources and by leveraging the economic complementarities that exist among the border states. Mexico has large untapped areas of geothermal, wind, and solar potential, according to Duncan Wood, author of the Wilson Center report and chair of the Department of International Relations at the Instituto Tecnologico Autonomo de Mexico (ITAM). Already, the country is the world’s third-largest producer of geothermal energy, and has large geothermal deposits in Baja California near major U.S. markets, such as San Diego and Los Angeles. 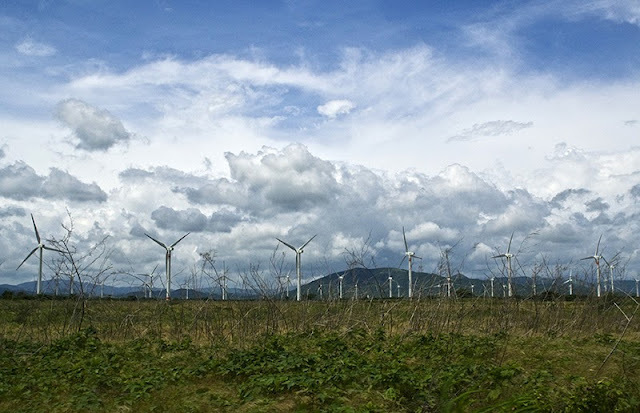 Mexico also offers great promise in wind power, with an estimated potential output of 1,800 to 2,400 megawatts for Baja California and 5,000 megawatts for southern Oaxaca state. Though Oaxaca is far from the U.S. border, it will soon be able to export electricity to U.S. markets, once Mexico’s mainland electrical grid is connected to the United States. Wood also pointed out that Mexico is rich in solar energy, which could be marketed to the United States—particularly from the Baja California peninsula, which is the only part of the Mexican grid currently connected the United States. In biomass, he added, little investment has been made so far. With Mexico’s oil fields experiencing long-term and, in some cases, precipitous declines, the country is plotting a “future as a green nation,” shifting its policy focus toward alternative energy development, said Wood. In addition, Mexico’s renewable sector does have not the blanket prohibitions on private ventures that exist in the hydrocarbons sector, and regulatory adjustments over the past few administrations have enabled a more robust private stake in electricity generation and transmission. A U.S.-Mexico taskforce on renewables was recently formed—an announcement timed to coincide with President Felipe Calderon’s April 2010 state visit to Washington—and there has been high-level engagement on the issue by both administrations. Collaboration between Mexico and U.S. government agencies through the Mexico Renewable Energy Program has enabled richer development of Mexico’s renewable resources while promoting the electrification and economic development of parts of rural Mexico. Joe Dukert, an independent energy analyst affiliated with the Center for Strategic & International Studies, pointed out that U.S.-Mexico collaboration on renewables is a little-acknowledged area of bilateral cooperation, and stressed the economic complementarities that exist between the two countries on the issue. He noted, for example, that Mexico was well-positioned to furnish power to help California meet its Renewables Portfolio Standard (RPS) by 2020. “Mexico can help them reach these [renewable energy] targets,” Dukert said. Yet at the same time, he said that Mexico needs to do more to enhance its profile as a renewable-energy supplier, and specifically suggested that energy attaches be assigned to the embassy and consulates. Johanna Mendelson Forman, a senior associate with the Americas Program at the Center for Strategic & International Studies, emphasized the linkages connecting climate change, energy, and economic development. Forman warned that Mexico’s inadequate energy stocks are a problem for the United States, adding that “energy poverty is a real issue in Mexico.” Energy development and climate change—which are perceived as less polemical than other issues—are good entry points for a broader U.S.-Mexico dialogue, she remarked. Robert Donnelly is a program associate with the Mexico Institute at the Woodrow Wilson Center. Photo Credit: “Wind Mill Farm (Mexico),” courtesy of flickr user Cedric’s pics. Speaker photos by David Hawxhurst/Wilson Center. If a formal partnership to produce Renewable Energy is forged between the United States and Mexico, will the benefits be equal for each member or will the United States just exploit Mexico for their Renewable Energy capabilities? I feel that the benefits would be mutual. One can look at NAFTA, a classic example of how the United States and Mexico have formed successful economic agreements. Very similar to the maqulidora plants that arose near the US-Mexico border following the enactment of NAFTA, I believe that along the border will be prime location for Renewable Energy production in order to reduce transportation costs. One has to wonder, will this give rise to illegal immigration from Mexico to the United States? I think you bring up some excellent points. The U.S.-Mexico relation has historically been typified by a deep economic asymmetry between the two countries. In ways, this asymmetry enables the economic complementarities that enable the two countries to optimize each's comparative advantages. Mexico's labor surplus and the better access U.S. companies have to credit for example. But there is a danger, as you allude to, that the economic dividends of cooperation on renewable energy will be unevenly split and that Mexico will end up shouldering a disproportionate environmental cost. For example, a driver for U.S.-Mexico cooperation on renewable energy is the legally mandated need by U.S. border states for power from renewable sources. And neighboring Mexico with untapped stocks of renewable energy in the form of wind and solar is considered a natural supplier. But NIMBYism and regulatory concerns also may be driving U.S. states' search for power outside of their boundaries. To create sustainable U.S.-Mexico renewable energy cooperation, efforts need to be put in place to ensure that the risks and benefits of projects are adequately balanced. I agree that it is very likely Mexico will end up shouldering a disproportionate environmental cost if a renewable energy agreement is formed. However, do you think that the economic benefits Mexico will receive from such a partnership will out way the environmental costs? I believe that Mexico’s overall lack of infrastructure is a very limiting factor in their process for development of renewable energy capabilities. I think that the long run economic benefits from a partnership with the United States would be greater than the short term effects felt by the environment. The U.S. will get the better end of the deal in this partnership, but the potential benefits for Mexico will be greater than the costs.